With Spring finally around the corner, there are new style and fashion trends taking over the Instagram world and retail stores alike. This is probably one of my most favourite times of year when it comes to style trends because it feels so refreshing to wear something new after a long and very, very cold winter. I don’t know about you guys, but I am way too excited to put my winter jackets into storage and happily say good-bye to them for a while. So, with that being said, I am going to lay down my top 5 style trends I am currently loving and wearing this season! To say that I have been obsessing over white boots is a bit of an understatement. The white bootie trend popped up last Fall of 2017 and hasn’t gone anywhere since! It is the most perfect shoe for Spring, creating a super fresh and trendy look paired with basically anything. I got these from ZARA for $6.99. Yes, I repeat, $6.99! This was from their sale at the beginning of the year, but I am still so proud about such a shopping find. I am absolutely loving the belted blazer trend that has been going around lately because it is the perfect way to style an outfit from day to night. 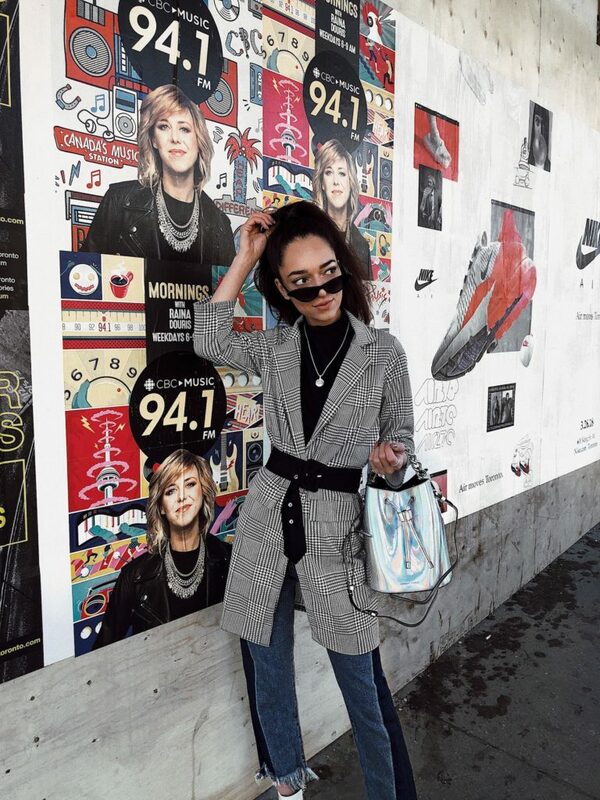 Whether you have worn your blazer to work all day and want to style it up for night-time with a bold belt, or want to keep it casual with a pair of jeans, it is such a versatile and trendy look right now. You can’t go wrong! If you want to go a step further, keep your eye out for plaid blazer’s specifically, they are so so trendy right now! Does the Canadian tuxedo ever go out of style? But seriously though, it has been around forever and I swear I always go back to it. The denim on denim look is my absolute go-to day-time outfit. The best part about it is that all of you most likely have this outfit in your closet’s already. So, no need to rush out to the mall for this one! Another thing I love most about this look is that you can really make it your own. 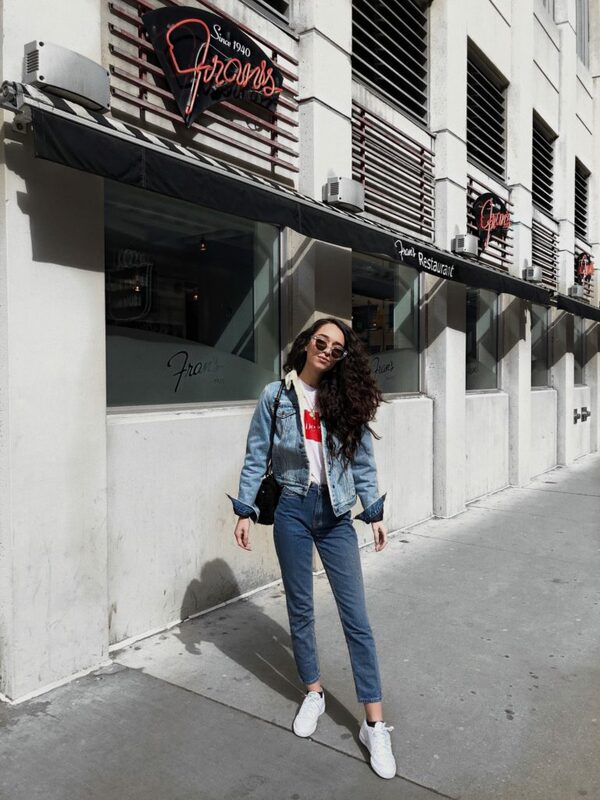 Whether you want to pair a denim skirt with a cropped denim jacket, or some mom jeans with an oversized denim coat, there are unlimited possibilities! From my observations, leopard prints is one of those things that is super trendy one season, and then it’s just never talked about for a while. Well, right now, it is all over the place and I am loving it! It’s definitely a print that is a bit more bold and funky, but is super fun to work into your style! 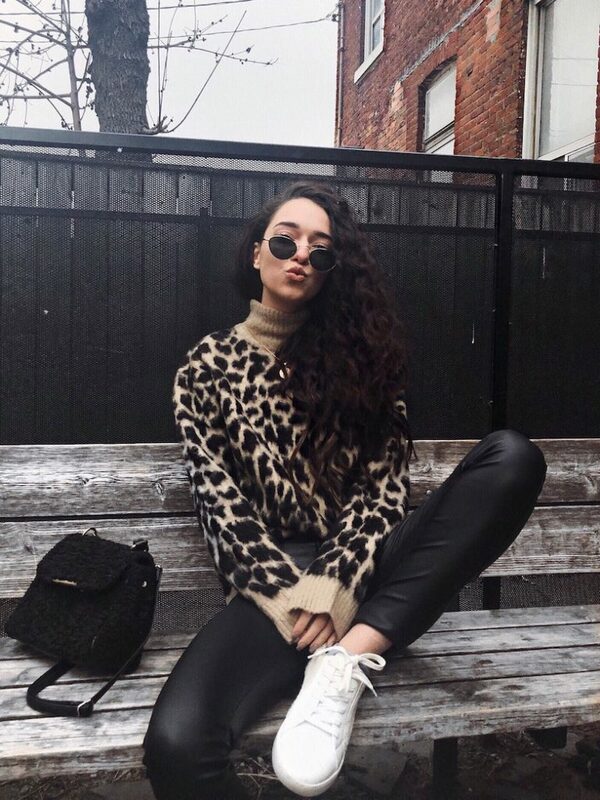 Leopard print most definitely had to make my list of style trends I am currently loving. I know what you are thinking, “florals for Spring, ground-breaking…”. But, I swear, it really is so trendy right now! I got this flowing red floral dress and I am obsessed with it. The floral prints add the perfect amount of feminism to any look and really gets you into that Spring vibe. I promise you, if you go into any store right now, they will have a ton of florals, from dresses to tops to skirts to bags. Take your pick! 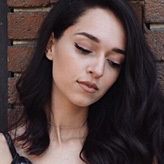 I hope you guys enjoyed my top 5 style trends I am currently loving and wearing! It’s definitely making me want to go out and shop for more of these trends, I can’t get enough! What trend will you be sporting this Spring?